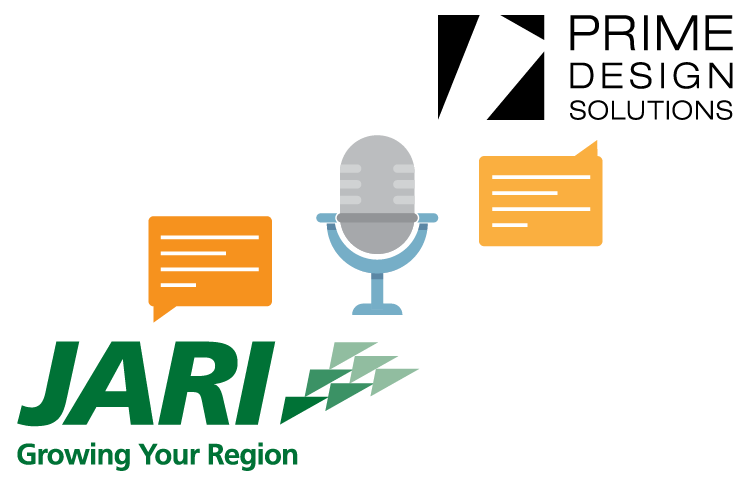 This month we’re welcoming Linda Thomson, president of Johnstown Area Regional Industries (JARI) to our podcast to tell us what JARI does for our region as an economic development organization, and give an overview of JARI services that are available for new and established businesses of all sizes. Q. What is JARI’s role in the community? JARI is a full-service economic development agency serving small and large businesses, helping support the growth of our economy — including attracting new investment, helping start-ups and existing companies. Q. Tell us a little about some of the most common misconceptions about JARI. First, people don’t always realize that JARI serves Cambria and Somerset Counties with most of our programming, not just Johnstown — we also have financing programs that can actually go from four to six counties around us, depending on the program. We are really becoming experts in small business financing, creating a “hub” over the past five or six years, helping companies that may not have been eligible and creating these funds that allow us to invest in companies that previously weren’t typically seen as economic development projects. For more information about JARI's programs and how they might help your business, we urge you to contact Michele Clapper at JARI, 814.262.8368. Further, JARI isn’t just for the big companies. We’ve been around for 44 years, and we are here for the benefit of the community — we’re a 501c3 organization with a board of directors. We have a lot of accountability and responsibility and take our mission seriously, and we take transparency seriously although we are not a government entity that is subject to sunshine laws. But over the years, people have had the misconception that we only help big companies, or only the defense sector. But we spend much more of our time helping small business. It’s just that the bigger companies and bigger projects tend to get more publicity. Q. JARI has several focus areas – including financing and incentives, entrepreneurial development, government contracting, and workforce development. Let’s talk about each of these. There are a lot of ways we can help companies with financing and incentives. We take a look at where their needs are, and what kinds of technical assistance they might need — such as insurance coverage, software training, or marketing — whatever it is. As a side note, our Lunch & Learn program provides a great opportunity for businesspeople to get valuable training from area experts in a wide variety of topics related to running a business, and they’re just $5. You don’t have to be involved in any of our financing or incentive programs to participate. What we really hope people will do is to give us a call, to find out about the kinds of assistance that might be available so that together we can put together a plan to help you get there. We have the knowledge of all the programs that are available, so we can help match those to your needs. We want to help you get to where you want to go, and our services are, for the most part, free. We talk about things like the Keystone Innovation Zone (KIZ), microloans, PIDA (Pennsylvania Industrial Development Authority), and others. But going through the details of all of these sources of funding — whether they are local, regional, state, or federal — isn’t that useful here. We know those programs inside and out, so businesses don’t have to. What’s much more important to emphasize, though, is that we at JARI will do our best to identify utilize any program that’s applicable to your project, and we have the gamut of programs available. If it’s not something we deliver ourselves, we have a partner that does, and we’ll work together. We now have the JARI Growth Fund, which is a community development financial institution — which is a new lender, which took a lot of time and effort to create. It is community development-oriented, and while we started in Cambria County, we have just received funding from the state to go into our six-county region. As we get more and more funding, we’ll be able to do more and more things. So even if you talked to us five years ago, there are several new and emerging funding and assistance opportunities that are now available — you should come talk to us again, because we might have something new that will apply to your business now. We’re also an Small Business Association microlender — so we can do small-scale lending too, for things like working capital, or equipment. We’ve seen a lot of success with that program with downtown businesses that are filling storefronts, but this works for a wide variety of businesses. We can lend anywhere from $5,000 to $50,000 with that program. Q. Let’s talk about some of the bigger projects JARI has supported. Yes, for example we supported Gautier Steel in their recent purchase of a new plate mill used for exotic metals, which is really contributing to the growth potential of this company by expanding their capabilities in specialized metals. This was something that was really expensive, but they were innovative in their approach and we were happy to be able to help with programs that helped them bridge the gaps in financing. It was a great project for our region, and builds on the steel heritage of our area. Q. When we think about jobs in the region, healthcare is a big deal. We’re well-known for helping manufacturing companies, but I want to emphasize that we do support businesses from all sectors. We also help back-office, business service type of companies, and one of the most recent examples of this is Duke LifePoint Business Services. They came in to support many of the hospital systems in their network that they own, and we were able to find them an office facility downtown, and now people are working there. This is really important for downtown and for relationship-building with this new healthcare entity, Duke LifePoint, which is operating in town. The Business Services facility brings additional investment to our area. Q. Can you tell us about some of JARI’s entrepreneurial development and business education services? Can you point to a few businesses that JARI has been able to help? There are many companies we’ve assisted, and I think we’re showing that we’ve financed up to 50 companies over the past few years. We also have 46 companies in our Start-up Alleghenies Pipeline, which is a new initiative we’re working on in conjunction with Blair and Somerset Counties. Together, there’s something like 130 companies in the three-county region. We’re looking everywhere we can possibly look for entrepreneurs, and making sure we give them everything we can to get to that next step. Some of these are well-known locally — a few examples are Firehouse Subs, Para-coat Technologies, PRESS Bistro, The Vault, and Franklin Street Bar & Grill. All fill a need, and many of them are filling downtown storefronts and are destination businesses, meaning that people make a special trip to visit them. There are dozens more doing the exact same thing, putting their hearts and souls into making their businesses successful — and we want to help them. Q. One the things that stands out to me is that JARI has put together the Showcase for Commerce every year. Can you tell us a little bit about that? Showcase for Commerce is now in its 28th year, and the Cambria Chamber of Commerce is a great partner in helping us present that every year to the community and the government contracting sector here. There are literally thousands of jobs connected to contracting here, and we’ve become very competitive on a global scale in going after those kinds of contracts in that we have the technical expertise and quality of services to make sure that the job gets done correctly. We have first-class companies here with great jobs, and we certainly want to continue to provide support to them in many ways, including hosting the Showcase. We bring in top-notch speakers, our Congressional leaders do a phenomenal job of supporting us, and we bring in top DOD officials. We’re still such a special community in that regard. Q. Recruiting talent can be a special challenge for any size business, and JARI is very active in workforce development as well, correct? This is something that’s a little unusual in that for the last 18 years our workforce development programs are entwined with our economic development initiatives. We were actually one of the first anywhere to do this. As we’ve recruited companies, particularly in the international arena, companies like North American Hoganas, Kitron, Kongsberg, Martin Baker and others, one of the key things we were told along the way is that being able to help with recruitment has been incredibly important to them. It’s important to anyone in business today. These businesses have to have the talent pipeline with baby boomers retiring, especially in certain fields like manufacturing and healthcare where there’s such high demand for certain kinds of jobs, so we can make sure our partners who are training providers are doing their part to make sure we have a workforce that can take us into the future together. We know there are 1,200-1,500 job openings right now in our area. A lot of places like the Johnstown region have many openings where there are gaps in skills and the open jobs, and we’re trying to get people into training programs into those job categories where the openings are. If you want to live in this region, with a high quality of life with outdoor recreation and so many amenities, and yet have a low cost of living, we can help you determine what skill sets are in demand. We want to support those people looking at those types of questions. We can do that also with our partners at CareerLink, our workforce development board, and our educational institutions — we all work together in a very collaborative environment. We also help people who have been laid off transition into a new career, or even into owning their own business, so that they can continue to live in our area and contribute. We’ve been able to help a lot of people in that situation, and we stick with them until they’ve been re-employed. Q. Can you talk a little more about collaboration and the Vision 2025 project? Vision 2025 is a framework for engaging and enhancing our community from a grassroots level. There is business leadership steering the effort, but more than 1,000 citizen volunteers are really making it happen. They have something to give, and they are coming together on a regular basis, building teams, and tackling issues they’re passionate about. Right now there are between 40 and 50 capture teams working in different areas, and Vision is now in our third year. We haven’t even gotten to the full three-year mark yet, but we’re seeing a lot of progress. JARI is supporting the project by looking for ways we can share our expertise in the process, for example, in capture teams where many of our staff are engaged. The JARI Growth Fund is helping too — we’re going to be building a funding source for energy conservation for homes and businesses as part of the Re-energize Johnstown process. Further, the Vision 2025 professional consultants are working out of the JARI offices. We like to think we can surround them with support, facilitating introductions and just finding ways to move the process forward with expertise and in-kind support. JARI also handles contracts for the consultants, and other aspects of the business end of things. Q. We’ve talked a great deal about how JARI supports the greater Johnstown region. Can you tell us how we, as businesses and individuals, can support you? We really appreciate the fact that the business community in this region has been incredibly generous and supportive of JARI and our efforts for 44 years. The corporate business community, along with smaller businesses and even individuals, have contributed to us over the years to make sure that we cover our costs. As far as how JARI is funded — we get some federal funding, for example with our procurement technical assistance center, and some technical assistance funding from the Small Business Association as we run our SBA microloan program. So there are some funds that we do get from government organizations. But there’s a pretty big gap between that funding and what we need overall, so we have to raise some money from things that we do — sometimes we get a small fee for administering certain types of funding. JARI also owns a few buildings from which we earn rental income that covers the utility and maintenance costs of the buildings, and generates a small amount of cash flow to help support us. But beyond that, we are really looking for contributions from businesses. And we hope that the businesses we help will someday be able to pay it forward by contributing to our efforts in the future. We appreciate the many ways people support our programming, and that people understand that we have significant expertise on our staff and need the right people on our team. We hope that our clients and others in the community realize how important this work is, and that they’ll help contribute to our efforts. For more information about JARI’s programs and how they might help your business, we urge you to contact Michele Clapper at JARI, 814.262.8368. You can also make a donation securely online to help support JARI’s efforts, here. By Brian Law. Read about Brian on our Meet Our Staff page.